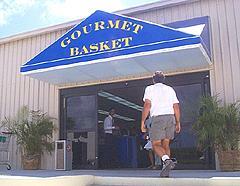 Antigua supermarkets, provisions: Gourmet Basket. 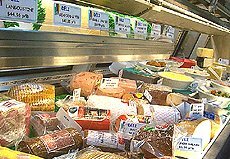 Gourmet Basket offers a tantalizing array of the finest quality of fruits, vegetables, Black Angus beef, frozen fish and seafood, local meats & produce as well as a great range of hard to get items such as gourmet sauces and spices. Gourmet Basket Supermarket is stocked with premium products from around the world and has become the favourites of many shoppers. 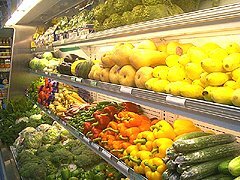 Gourmet Basket is within the Island Provision Complex on Sir George H. Walter Highway and is open Monday through Saturday, 8:00am to 8:00pm and Sunday 8.00am to 5.00pm. 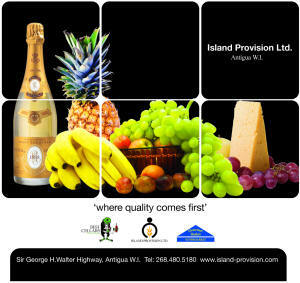 For more great provisioning visit Island Provision Food Distribution and Best Cellars Wines & Spirits.